The National Institutes of Health in the US estimates up to 23.5 million Americans suffer from an autoimmune disease. (1) Others think this figure is way too conservative, and instead put the figure at around 50 million people in the US alone. 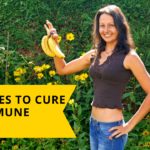 A big problem with autoimmune disease is that if you already suffer with an autoimmune disease, then you are much more likely to develop other additional autoimmune diseases. 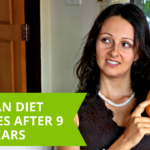 So I would definitely recommend that you start taking action today and improve your diet and lifestyle, rather than putting off these changes until you are diagnosed with an autoimmune disease or your condition gets even worse. 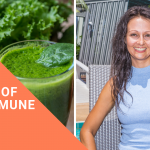 In this video, I dive into the 5 key steps to dealing with an autoimmune condition on a plant foods lifestyle. 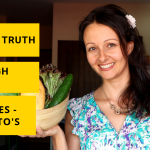 You might think that if you simply eat healthy foods in your diet that this alone is going to be good for your health and your autoimmune disease, but unfortunately this is not always the case. Having a certain food or foods in your diet can actually trigger your immune system to attack your body. Gluten, dairy and eggs are some of the well known autoimmune triggers. 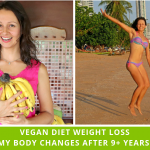 Eating a well-planned whole plant foods vegan diet that is low in fat, including saturated fat is a great start. 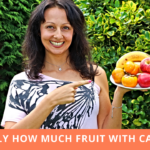 Fruits and vegetables are the ideal foods and they are packed full of health promoting nutrients like fiber, anti-oxidants, vitamins and minerals and supply your body with its optimal fuel source which is carbohydrates and simple carbohydrates from fruits in particular. Fungal overgrowths, parasite infections, unhealthy bacterial overgrowths can all negatively impact your health and get in the way of you healing your disease. These kinds of unwanted infections can also cause what is known as a leaky gut, or increased intestinal permeability. 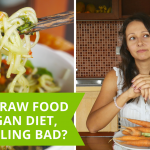 This means that the lining of your gut does not work properly and instead starts allowing partially digested food, bacteria and toxins into your body. This can lead to an autoimmune disease, so repairing or protecting yourself from developing a leaky gut is hugely important for your health. 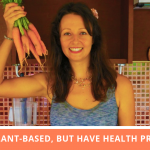 Eating a well-balanced whole foods plant diet is a great way to heal your body, boost the health of your immune system and help deal with possible deficiencies. But sometimes supplementation is needed and we have seen this with our own clients. For instance if someone lives in a location where they get an inadequate amount of sunlight on a consistent basis then their vitamin D levels are not going to be where they need to be for optimal health, so supplementation can certainly play its part in this scenario. Another one is iron and supplementing with this at least initially can help you get your levels back to where you need them and at an optimal level if you find yourself with low levels and are suffering from symptoms of low iron. You can eat the healthy foods and enjoy the warmest sunshine in the world, but if other lifestyle factors like stress, exercise or relationships are much less than ideal then these can seriously impact your health status. So living in a clean, pollution free or pollution free as possible environment, with healthy personal relationships and manageable stress levels, along with quality sleep are a must to further support and enhance you body’s ability to get healthy and stay healthy over the long-term.